Construction continues on various City projects around Sand Springs. Here are some recent photos of the progress. Pratt Civitan Park is receiving a restroom building at 213 West 44th Street. 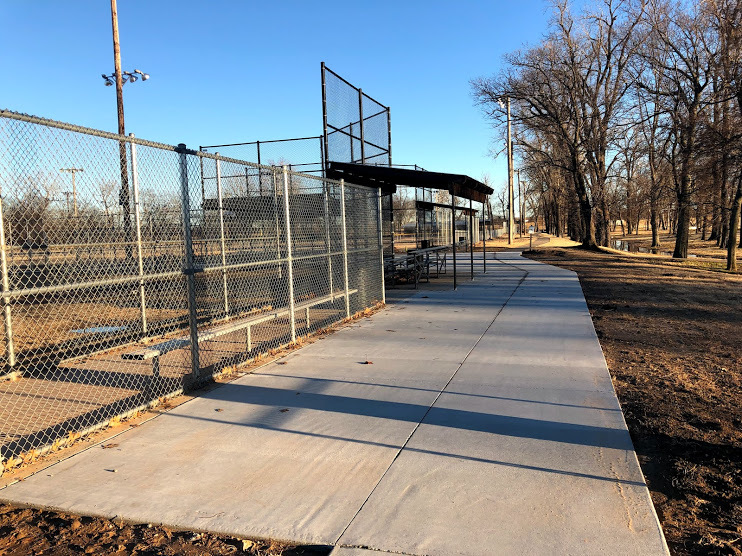 Pratt Civitan is home to the only splash pad on the south side of Sand Springs, as well as swings, tennis and basketball courts. A speed hump is also planned for 44th Street in front of the park. The biggest work site lies in the area of Sheffield Crossing. The City is rebuilding Morrow Road and adding a center turn lane to accommodate the increased traffic expected from the new Billie A. Hall Public Safety Center. Both the road and the facilities will be completed this spring. The center will house municipal jail and courts, a police station, and a fire department. 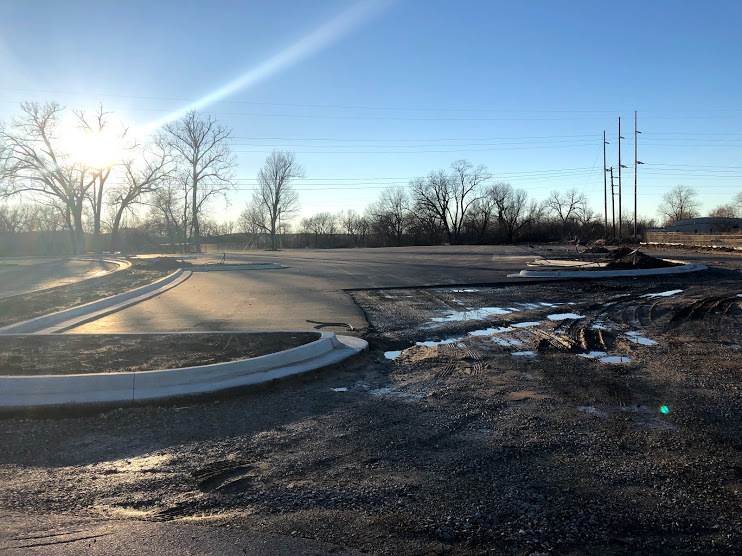 A new parking lot has been recently completed in Case Community Park at the Rotary Super Splash Pad. The parking lot is located on the other side of the creek from the previous unpaved parking area. 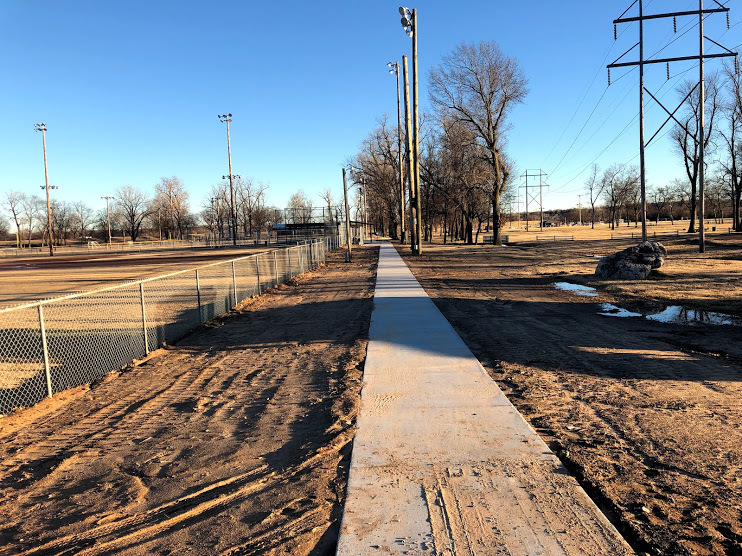 A paved parking lot is also in progress at the Jerry Adair Baseball Complex, and new concrete sidewalks have also been constructed. An observation platform above the tree canopy at the Keystone Ancient Forest. A paved parking lot and visitor’s center at Keystone Ancient Forest. Beautification efforts across the city. A new playground at Angus Valley Park. Main Street will be rebuilt from First Street south to its current terminus at 404 South Main Street. The road will also be extended west to a new intersection at Highway 97. A new frontage road connecting Main Street to the Highway 412 on-ramp at Lincoln Avenue. A new roadway along the Arkansas River levee from Highway 97 west into Case Community Park. The City also has eighteen acres of prime real estate in the Sheffield Crossing Development preserved to incentivize a hardware and lumber store.